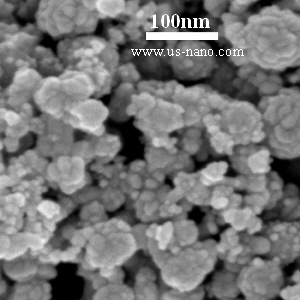 US3023 g-phase nano-Al2O3 with small size, high activity and low melting temperature, it can be used for producing synthetic sapphire with the method of thermal melting techniques; the g-phase nano-Al2O3 with large surface area and high catalytic activity, it can be made into microporous spherical structure or honeycomb structure of catalytic materials. These kinds of structures can be excellent catalyst carriers. If used as industrial catalysts, they will be the main materials for petroleum refining, petrochemical and automotive exhaust purification. In addition, the g-phase nano-Al2O3 can be used as analytical reagent. 1. transparent ceramics: high-pressure sodium lamps, EP-ROM window; 2. cosmetic filler; 3. single crystal, ruby, sapphire, sapphire, yttrium aluminum garnet; 4. high-strength aluminum oxide ceramic, C substrate, packaging materials, cutting tools, high purity crucible, winding axle, bombarding the target, furnace tubes; 5. polishing materials, glass products, metal products, semiconductor materials, plastic, tape, grinding belt; 6. paint, rubber, plastic wear-resistant reinforcement, advanced waterproof material; 7. vapor deposition materials, fluorescent materials, special glass, composite materials and resins; 8. catalyst, catalyst carrier, analytical reagent; 9. aerospace aircraft wing leading edge. Ethanol Dispersion, Mineral Oil Dispersion, NMP Dispersion, US Research Nanomaterials, Inc., Ethanol Dispersion, Mineral Oil Dispersion, NMP Dispersion, US Research Nanomaterials, Inc., Aluminum Hydroxide Al(OH)3 Nanoparticles 20wt% Ethanol Dispersion, 99.9%, 10nm, Aluminum Hydroxide Al(OH)3 Nanoparticles 20wt% Water Dispersion, 99.9%, 10nm, US Research Nanomaterials inc., Aluminum Hydroxide Al(OH)3 Nanoparticles 20wt% Ethanol Dispersion, 99.9%, 10nm, Aluminum Hydroxide Al(OH)3 Nanoparticles 20wt% Water Dispersion, 99.9%, 10nm, US Research Nanomaterials inc., Aluminum Hydroxide Al(OH)3 Nanoparticles 20wt% Ethanol Dispersion, 99.9%, 10nm, Aluminum Hydroxide Al(OH)3 Nanoparticles 20wt% Water Dispersion, 99.9%, 10nm, US Research Nanomaterials inc., Aluminum Hydroxide Al(OH)3 Nanoparticles 20wt% Ethanol Dispersion, 99.9%, 10nm, Aluminum Hydroxide Al(OH)3 Nanoparticles 20wt% Water Dispersion, 99.9%, 10nm, US Research Nanomaterials inc., Aluminum Hydroxide Al(OH)3 Nanoparticles 20wt% Ethanol Dispersion, 99.9%, 10nm, Aluminum Hydroxide Al(OH)3 Nanoparticles 20wt% Water Dispersion, 99.9%, 10nm, US Research Nanomaterials inc., Aluminum Oxide Nanoparticle Supplier,Aluminum Oxide Nanopowder Supplier,Nanopowder Al2O3,Nanoparticle Al2O3 alpha,Aluminum Oxide Nanoparticle,Aluminum Oxide Nanopowder,alpha,Al2O3 Nanoparticles,Al2O3 Nanoparticle,Al2O3 Nanopowder,Aluminum Oxide Nanoparticles, Aluminum Oxide Nanoparticle Supplier,Aluminum Oxide Nanopowder Supplier,Nanopowder Al2O3,Nanoparticle Al2O3 alpha,Aluminum Oxide Nanoparticle,Aluminum Oxide Nanopowder,alpha,Al2O3 Nanoparticles,Al2O3 Nanoparticle,Al2O3 Nanopowder,Aluminum Oxide Nanoparticles, Aluminum Oxide Nanoparticle Supplier,Aluminum Oxide Nanopowder Supplier,Nanopowder Al2O3,Nanoparticle Al2O3 alpha,Aluminum Oxide Nanoparticle,Aluminum Oxide Nanopowder,alpha,Al2O3 Nanoparticles,Al2O3 Nanoparticle,Al2O3 Nanopowder,Aluminum Oxide Nanoparticles, Ethanol Dispersion, Mineral Oil Dispersion, NMP Dispersion, US Research Nanomaterials, Inc.,Ethanol Dispersion, Mineral Oil Dispersion, NMP Dispersion, US Research Nanomaterials, Inc., Ethanol Dispersion, Mineral Oil Dispersion, NMP Dispersion, US Research Nanomaterials, Inc.,Aluminum Hydroxide Nanoparticle,Aluminum Hydroxide Nanopowder,Aluminum Hydroxide Nanoparticle Supplier,Aluminum Hydroxide Nanopowder Supplier,Aluminum Hydroxide Nanoparticles,AlOH3 Nanoparticle,AlOH3 Nanoparticles,AlOH3 Nanopowder,Aluminum Hydroxide Nanoparticle,Aluminum Hydroxide Nanopowder,Aluminum Hydroxide Nanoparticle Supplier,Aluminum Hydroxide Nanopowder Supplier,Aluminum Hydroxide Nanoparticles,AlOH3 Nanoparticle,AlOH3 Nanoparticles,AlOH3 Nanopowder,Aluminum Hydroxide Nanoparticle,Aluminum Hydroxide Nanopowder,Aluminum Hydroxide Nanoparticle Supplier,Aluminum Hydroxide Nanopowder Supplier,Aluminum Hydroxide Nanoparticles,AlOH3 Nanoparticle,AlOH3 Nanoparticles,AlOH3 Nanopowder,Ethanol Dispersion, Mineral Oil Dispersion, NMP Dispersion, US Research Nanomaterials, Inc. Aluminum Oxide Nanoparticle Supplier,Aluminum Oxide Nanopowder Supplier,Nanopowder Al2O3,Nanoparticle Al2O3 alpha,Aluminum Oxide Nanoparticle,Aluminum Oxide Nanopowder,alpha,Al2O3 Nanoparticles,Al2O3 Nanoparticle,Al2O3 Nanopowder,Aluminum Oxide Nanoparticles, Aluminum Oxide Nanoparticle Supplier,Aluminum Oxide Nanopowder Supplier,Nanopowder Al2O3,Nanoparticle Al2O3 alpha,Aluminum Oxide Nanoparticle,Aluminum Oxide Nanopowder,alpha,Al2O3 Nanoparticles,Al2O3 Nanoparticle,Al2O3 Nanopowder,Aluminum Oxide Nanoparticles, Aluminum Oxide Nanoparticle Supplier,Aluminum Oxide Nanopowder Supplier,Nanopowder Al2O3,Nanoparticle Al2O3 alpha,Aluminum Oxide Nanoparticle,Aluminum Oxide Nanopowder,alpha,Al2O3 Nanoparticles,Al2O3 Nanoparticle,Al2O3 Nanopowder,Aluminum Oxide Nanoparticles, Ethanol Dispersion, Mineral Oil Dispersion, NMP Dispersion, US Research Nanomaterials, Inc.
Aluminum Hydroxide Al(OH)3 Nanoparticles 20wt% Ethanol Dispersion, 99.9%, 10nm, Aluminum Hydroxide Al(OH)3 Nanoparticles 20wt% Water Dispersion, 99.9%, 10nm, US Research Nanomaterials inc., Aluminum Hydroxide Al(OH)3 Nanoparticles 20wt% Ethanol Dispersion, 99.9%, 10nm, Aluminum Hydroxide Al(OH)3 Nanoparticles 20wt% Water Dispersion, 99.9%, 10nm, US Research Nanomaterials inc., Aluminum Hydroxide Al(OH)3 Nanoparticles 20wt% Ethanol Dispersion, 99.9%, 10nm, Aluminum Hydroxide Al(OH)3 Nanoparticles 20wt% Water Dispersion, 99.9%, 10nm, US Research Nanomaterials inc., Aluminum Hydroxide Al(OH)3 Nanoparticles 20wt% Ethanol Dispersion, 99.9%, 10nm, Aluminum Hydroxide Al(OH)3 Nanoparticles 20wt% Water Dispersion, 99.9%, 10nm, US Research Nanomaterials inc., Aluminum Hydroxide Al(OH)3 Nanoparticles 20wt% Ethanol Dispersion, 99.9%, 10nm, Aluminum Hydroxide Al(OH)3 Nanoparticles 20wt% Water Dispersion, 99.9%, 10nm, US Research Nanomaterials inc.